Stream anime episodes for free, you want to Watch Fairy Tail Episode 41 English Subbed online for free. Episode guide Fairy Tail Episode 41 English Subbed Home Erza floats above what looks like her funeral, as everyone is crying and Makarov is delivering a speech on her death. 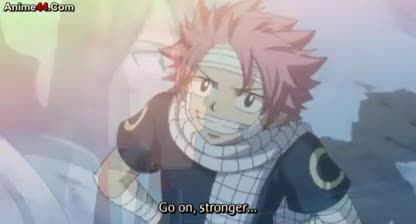 However, when she hears Natsu’s voice and she awakens from her vision, alive and greeted by all her friends. Natsu and his friends return to the newly rebuilt Fairy Tail, with Juvia and Gajeel as new members.